Honorary Degree of Doctor of the University in recognition of his significant contribution to British comedy and drama, along with his achievements in international charity work. One of Britain’s most accomplished and personable stand-up comedians and actors, Sir Lenny Henry is also a writer, television presenter and blues singer. Probably best known for co-founding the charity Comic Relief with Richard Curtis in 1985 in response to the famine in Ethiopia, Sir Lenny has hosted Red Nose Day since it began in 1988. 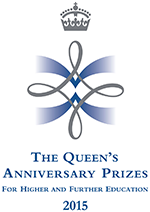 In recognition of his accomplishments, he was appointed a Commander of the Order of the British Empire in 1999 and this was followed by a knighthood for services to drama and charity in the Queen’s Birthday Honours in 2015. 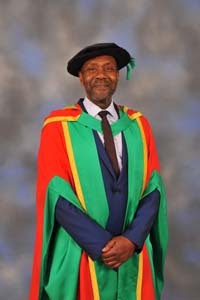 Sir Lenny would be the first to admit that school wasn't his greatest success but in later life he has re-engaged with education in a serious way and has completed a BA in English Literature from the Open University and is now studying for a PhD which looks at the representation of black people in the media. In recent years Sir Lenny has become a prominent campaigner to improve the representation of black, asian and minority ethnic people in the creative industries.